First, open a web-browser and navigate to https://github.com. 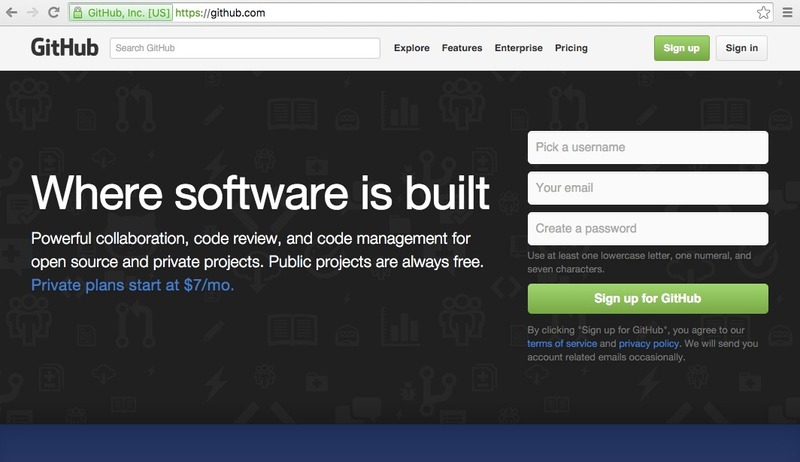 GitHub provides free GitHub accounts with free hosting for open projects. 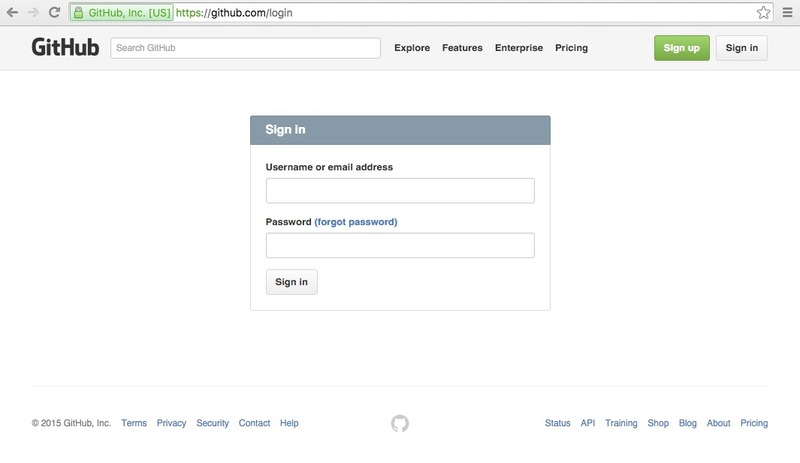 To create a GitHub account, type in your desired username, email address and password into the boxes and click “Sign up for GitHub”. Follow the instructions on those pages and you will have created an account. Type in your GitHub username (or the email address you used to sign up) and your password and you should then be logged in.